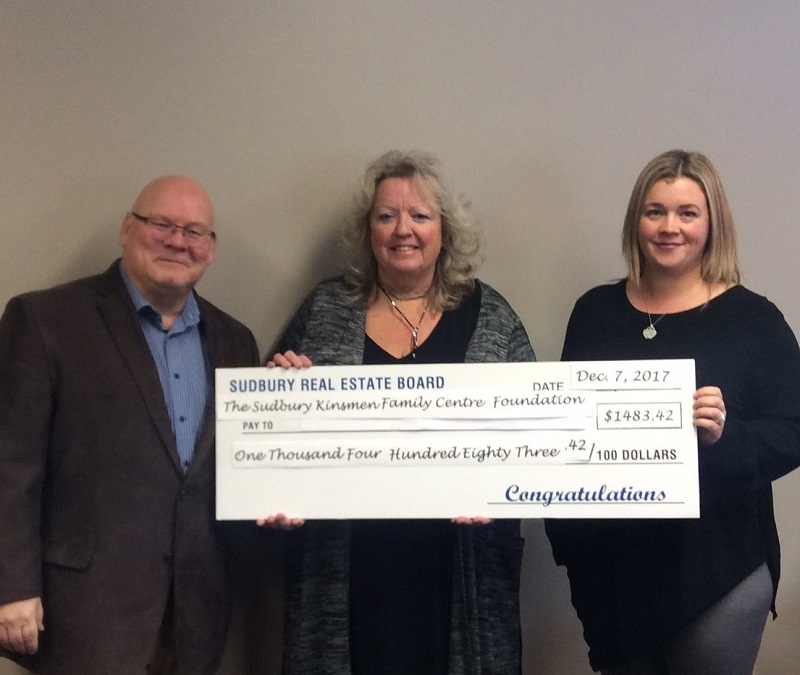 A cheque was presented to the Sudbury Kinsmen Family Centre Foundation/House of Kin on behalf of the Members of the Sudbury Real Estate Board from the REALTORS Care® Foundation. Accepting the cheque on behalf of the organization, was Mike Allard, President and Karly Bortolotti, Fundraising/Marketing Coordinator. Presenting the cheque on behalf of the Sudbury Real Estate Board was 2017 Interim President, Caroline McDonald. “The Sudbury Kinsmen Family Centre Foundation is very grateful to the Sudbury Real Estate Board for this kind donation in support of the House of Kin. Our Home Away from Home at the 4 corners in Sudbury serves thousands of families from a large catchment area across all of Northern Ontario to provide low cost accommodations for those travelling to Greater Sudbury to access health care and medical services.